The hierarchs of the Ecumenical Patriarchate of Constantinople from all over the world convened for a Synaxis (meeting) in Istanbul. 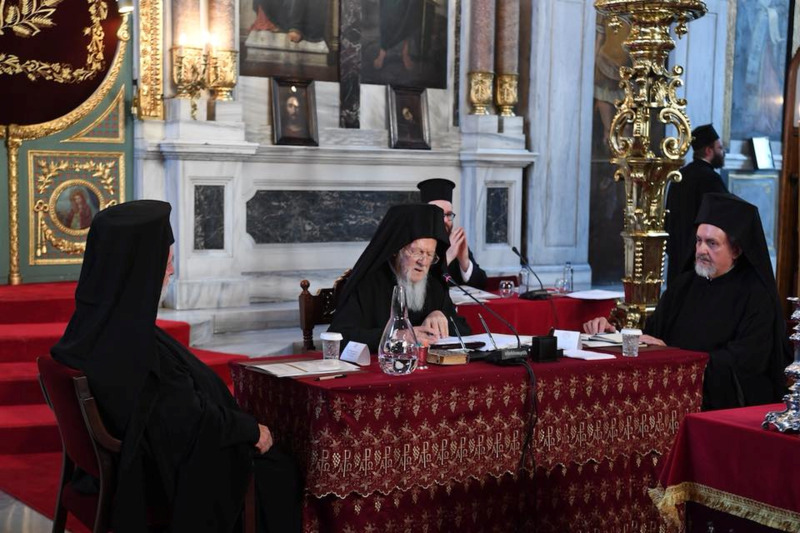 The significance of the event is emphasized by the fact that the previous EP bishops' meeting took place three years ago – at the start of the final stage of preparations for the Pan-Orthodox Council in Crete. Jelena Rakocevic comes up with more details at Delfi.lt: "It is expected that the forthcoming Synaxis will largely determine the position of Constantinople in the Orthodox world since it will deal with such important issues as the crisis in the Greek American Archdiocese and especially the church situation in Macedonia and Ukraine". She also reflects on a recent VOA's interview with the chief Ukrainian American Orthodox Metropolitan Anthony Scherba and several think pieces on the matter of Ukrainian autocephaly. "Poroshenko returned from Istanbul after meetings with the patriarch with a bit of exaggerated enthusiasm," Metropolitan Anthony commented on the situation to the Voice of America.